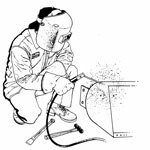 Central Welding Supply is a business organisation that provides welding utilities and equipment essential for industrial purposes. The company was founded in 1975 in Lynnwood, Washington by Mickey Wilton who was the sole owner and is also the Chairman of the company presently. Dale Wilton is the President and CEO. The company offers services in terms of gas products, industrial supplies, safety products, and welding instruments. It also offers repairing services from their precision welder repair department and in addition to this they have rental facilities for welding equipments. There are currently 0 consumer reviews about Central Welding Supply available. Share your review. Please take a note that you are about to post a public review about Central Welding Supply corporate office on CorporateOffice.com. This review will be public, so please do not post any of your personal information on this website. If you would like to contact the corporate offices of Central Welding Supply, please use their contact information such as their phone number, website, and address listed above to contact them. However, sometimes staff from Central Welding Supply headquarters do read the reviews on this website.